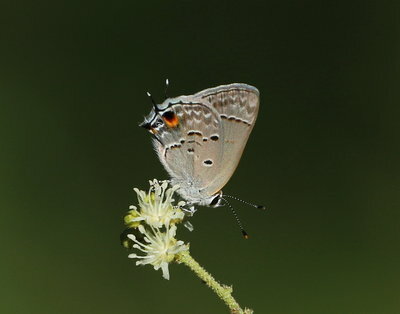 Description and Similar Species: Wingspan 24-30mm. 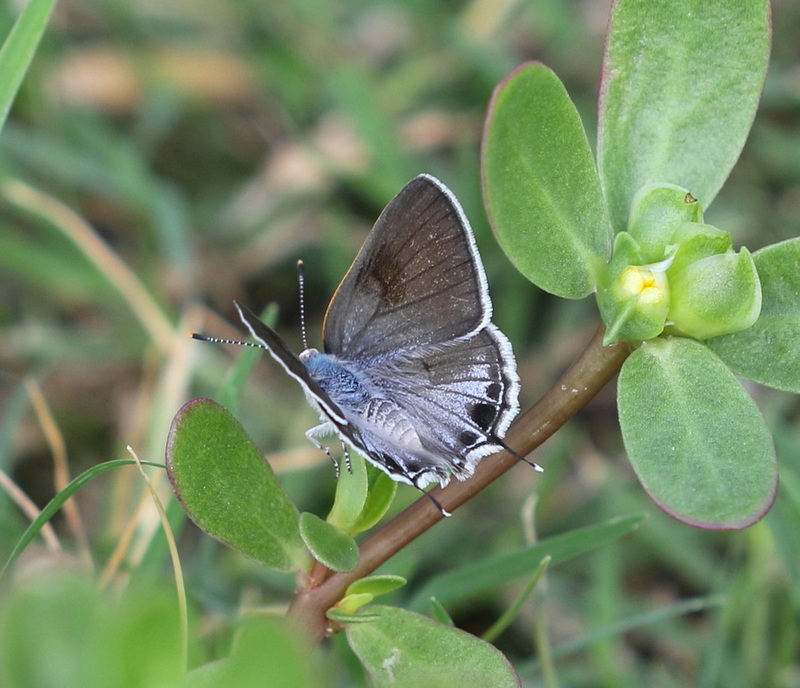 Has a single tail on the hindwing. 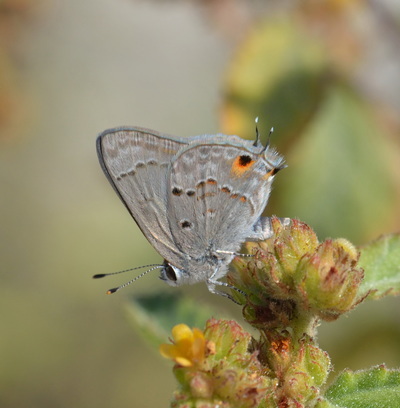 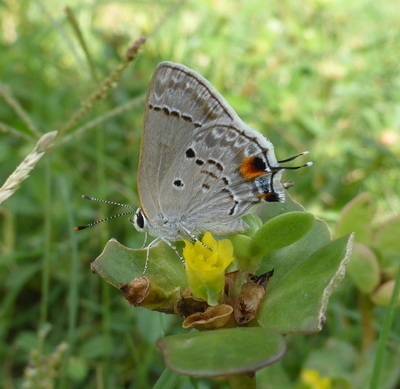 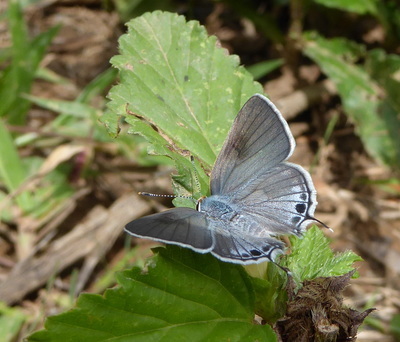 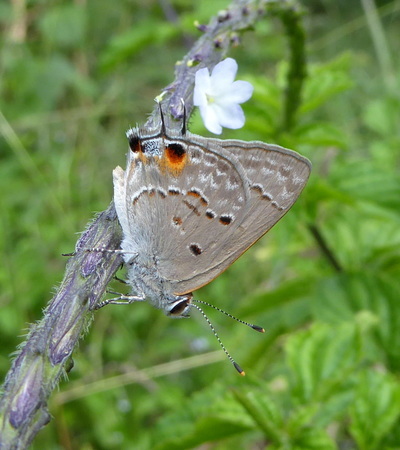 The underside is very similar in colouration to Limenia Scrub-Hairstreak Strymon limenia but slightly greyer and it only has a short extension of the right angle cross-line near the trailing edge. 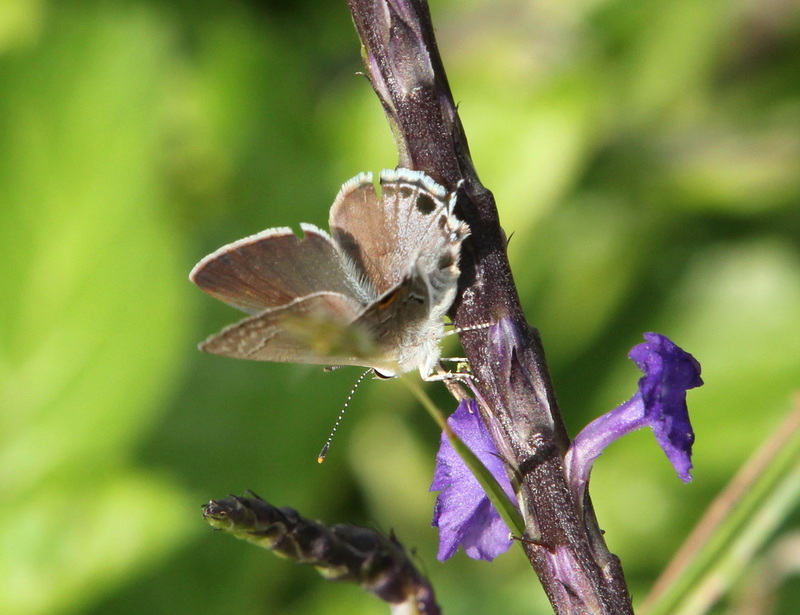 The female shows some greyish blue on the upperwings but the male is light brown. 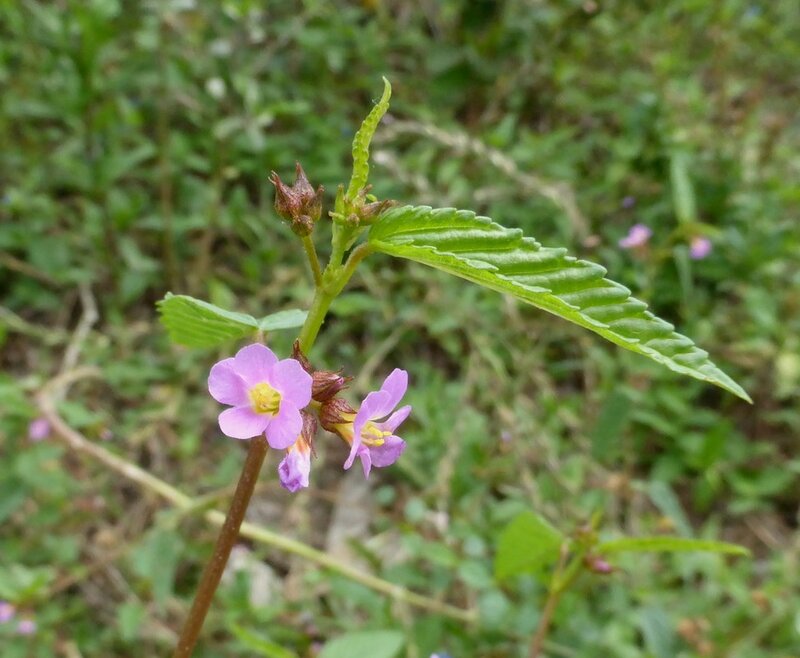 Range: North and South America and well distributed in the West Indies. 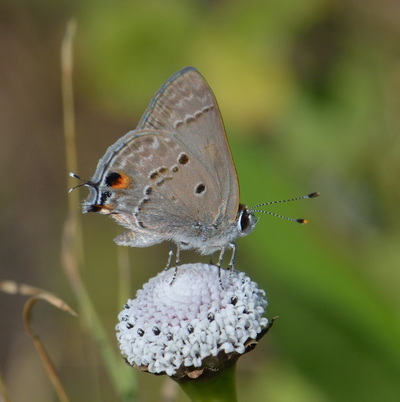 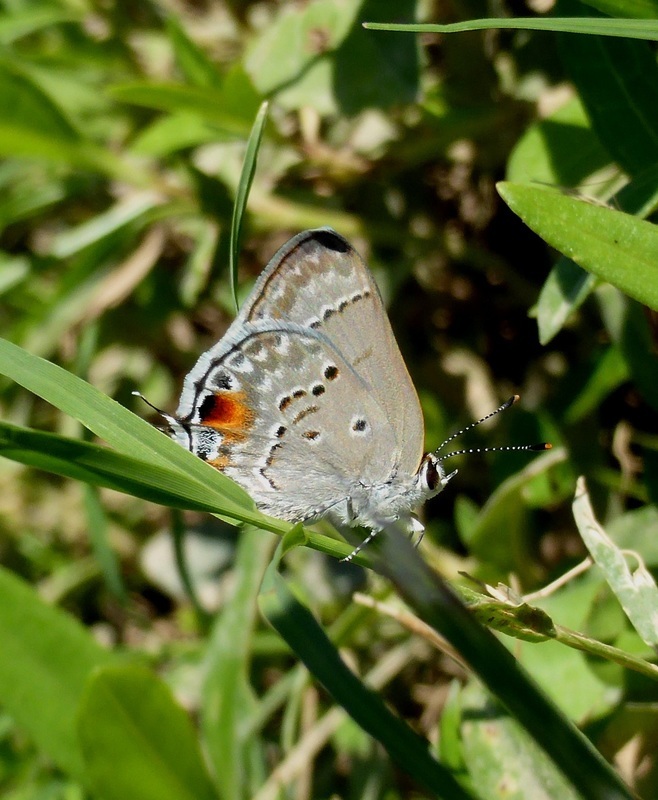 Status: Widespread and the most common of the Hairstreaks on Cuba. Nectar Plants: Stachytarpheta jamaicensis, Bidens pilosa, Suriana maritima, Heliotropium, Croton, Ageratum, Melochia, Daucus. 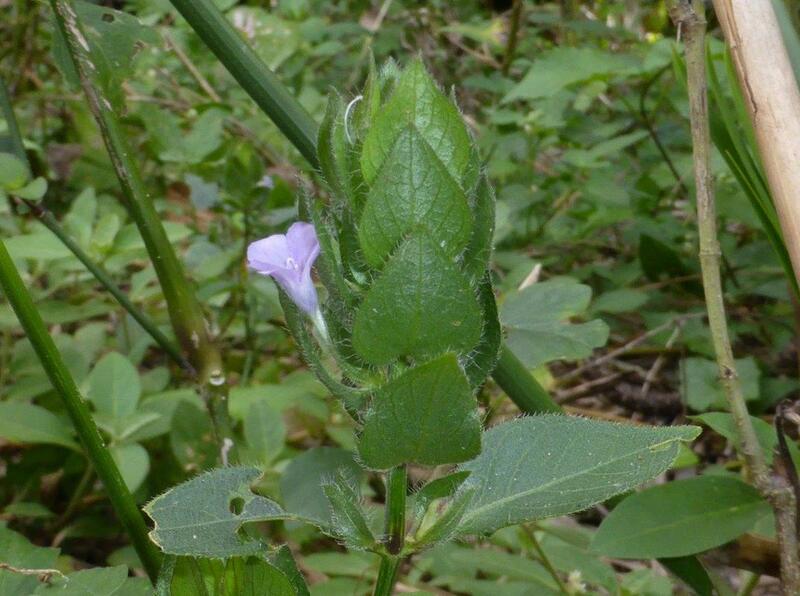 Larval Foodplants: The flowers of many plants including Sida, Melochia, Hibiscus (Malvaceae) and also Ruellia blechum Acanthaceae, Sterculiaceae, Portulacaceae and Surianaceae.